CLICK HERE FOR GINGER COMICS! When I was a newspaper reporter for a small daily paper in the thick of Minnesota lake country, I happened upon a story that was so amazing, my editor refused to run it. It’s the story of a group of intellectuals and geniuses who hung out in a cabin on the lovely shores of Otter Tail Lake. It was sort of like a club of eccentric “big brains” who were always thinking outside the box. 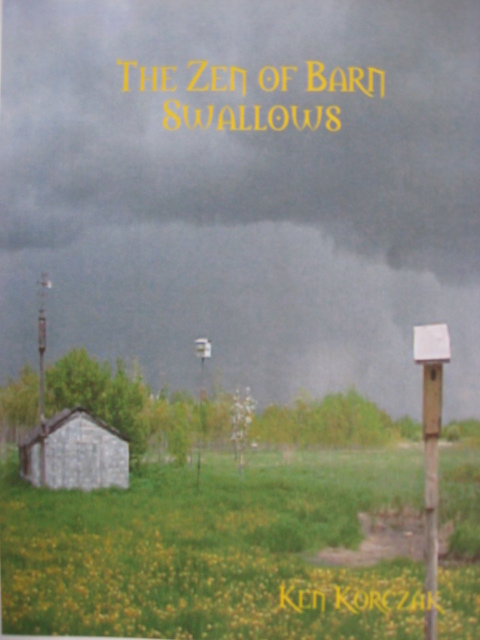 One day, they came up with an incredible way to play a game with barn swallows. At first, it began as an intellctual exercise in chaos theory to see if one could examine the seemingly random flight of two birds and come up with patterns that would reveal something deeper about the secret lives of birds. They had no idea about how this seemingly bland exercise would turn into an insane circus. I tried several times to sell this story as a freelance writer, with no luck. So what I have finally done is transform the whole story into a fictionalized science fiction/ fantasy novelette — it seems that if I “package” this story as fiction, it’s much easier to accept. So, although this story is basically true, this short novel can be read as pure entertainment, and no one has to struggle with the idea about whether these events happened or not.